ISUZU D-MAX I (8DH) 2.5 DiTD 4x4 2499 00/05/2>01/06/2 101 74 4JA1-TC. ISUZU D-MAX I (8DH) 2.5 DiTD 4x4 2499 00/01/2>01/06/2 136 100 4JK1-TC. ISUZU D-MAX I (8DH) 3.0 DiTD 4x4 2999 00/05/2>01/06/2 131 96 4JH1-TC. Categoria prodotto: Impianto climatizzazione/Compressore climatizzatore aria condizionata clima a/c. ISUZU D-MAX I (TFR, TFS) 2.5 DiTD (TFR86_). ISUZU D-MAX I (TFR, TFS) 2.5 DiTD 4x4 (TFS86_). ISUZU D-MAX I (TFR, TFS) 3.0 DiTD (TFR85_). Isuzu Trooper 2.0 D. Opel Agila 1.3 CDTi. Opel Corsa 1.7D - 1.7TD. Opel Astra G 2.0 - CDi '00->. Opel Combo. Si ricorda inoltre che. DIRITTI DI RECESSO. CONDIZIONI GENERALI. 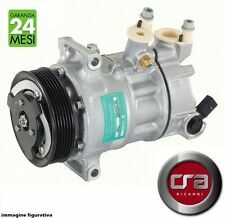 14461 Compressore aria condizionata climatizzatore Transtek ISUZU D-MAX (8DH) Diesel 2002>. ISUZU D-MAX (8DH) 2.5 D 4x4 2499 05/2002> 101 74 4JA1-TC. ISUZU D-MAX (8DH) 2.5 DiTD 4x4 2499 01/2007> 136 100 4JK1-TC. ISUZU D-MAX I (TFR, TFS) 2.5 DiTD 4x4 (TFS86_) 2499 01/2007>06/2012 136 100 4JK1-TC. ISUZU D-MAX I (TFR, TFS) 3.0 DiTD (TFR85_) 2999 01/2007>06/2012 163 120 4JJ1-TC. ISUZU D-MAX I (TFR, TFS) 3.0 DiTD 4x4 (TFS85_) 2999 01/2007>06/2012 163 120 4JJ1-TC. ISUZU D-MAX (8DH) 2.5 D 4x4 2499 05/2002> 101 74 4JA1-TC. ISUZU D-MAX (8DH) 2.5 DiTD 4x4 2499 01/2007> 136 100 4JK1-TC. ISUZU D-MAX (8DH) 3.0 D 2999 01/2007> 163 120 4JJ1-TC. ISUZU D-MAX (8DH) 3.0 D 4x4 2999 01/2007> 163 120 4JJ1-TC. 1995 Isuzu Bighorn 3.1 Diesel Air Con Pump A/C Compressor Honda Horizon 8970707141 4JG2 In good condition and full working order. Item: Air con compressor pump. Removed from: Isuzu D-Max 2.5 TD 2014. 13834N Compressore aria condizionata climatizzatore Transtek ISUZU MIDI Furgonato (98000N) Benzina 1988>. ISUZU MIDI Furgonato (98000N) 2.0 1995 06/1988> 83 61 4ZC1. ID-Testata (Compressore) SQ. ID compressore SD7H15. 2012 ISUZU D-MAX A/C Compressor. This item has been removed from a: 2012 ISUZU D-MAX. Factor Number: HHCP0960 AIR CON PUMP. Make: ISUZU. Fuel type: Diesel. Part Type: A/C Compressor. Year: 2012. Part Information Includes:-. Isuzu Trooper 3.0TD air conditioning pump. 1998-2005 4XJ1 Taken from low mileage 2003 vehicle. Excellent working condition. Money back guaranteed. Nuovo di zecca! orario di arrivo dipenderà dalla vostra posizione. Ihr Autoteile-guenstig Team. Der Pfandbetrag wird umgehend nach Erhalt des alten Lenkgetriebes zurück überwiesen. Der Pfandbetrag wird Ihnen nach Altteil-Eingangsprüfung auf das von Ihnen angegebene Konto erstattet. 2012 ISUZU D-MAX A/C Compressor. This item has been removed from a: 2012 ISUZU D-MAX. Make: ISUZU. Fuel type: Diesel. Part Type: A/C Compressor. Year: 2012. Body Style: Pickup. Part Information Includes:-. FOR YEARS: 2002, 2003, 2004, 2005, 2006 (2004). No labour costs ever covered. The item has been thoroughly inspected and tested by our qualified technicians and is in good working order. This part is a used item and is sold as such unless otherwise stated. 2013 ISUZU D-MAX A/C Compressor. This item has been removed from a: 2013 ISUZU D-MAX. Make: ISUZU. Fuel type: Diesel. Part Type: A/C Compressor. Unless otherwise stated, Due to the nature of our parts being sourced from dismantled vehicles, there is a possibility that impact data/faults may be present.